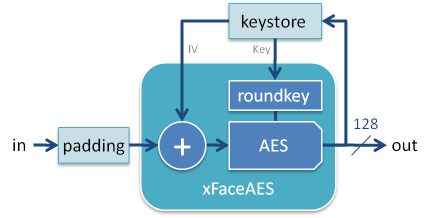 xFaceAES is a high-speed encryption unit for application in FPGAs. The soft core encrypts datastreams up to 2 Gbps and requires only little hardware resources on Xilinx FPGAs. (C) 2019 xFace Johannes Wolkerstorfer - Graz, Austria.